This is just a STOP sign I am sure you have guessed. I took the snap with my iPhone and pushed the editing a little. Many times when I see a STOP sign I always remind myself that the only thing stopping “ourselves is ourselves”. So many of us are scared to move forward, try new things or release ourselves from old negative patterns, because of our own limiting belief systems. We paint these mental images in our head, about what would go wrong, why it couldn’t work or that we are not equipped or educated or skilled enough to try something. We stop ourselves dead in our own tracks. So change the STOP sign to a go sign. Don’t like your job? Get a new one! Don’t like your boss? Get a new one! Don’t like your weight? Change it! Don’t like the way your friend treats you? Get a new one!. The only thing stopping ourselves is ourselves. 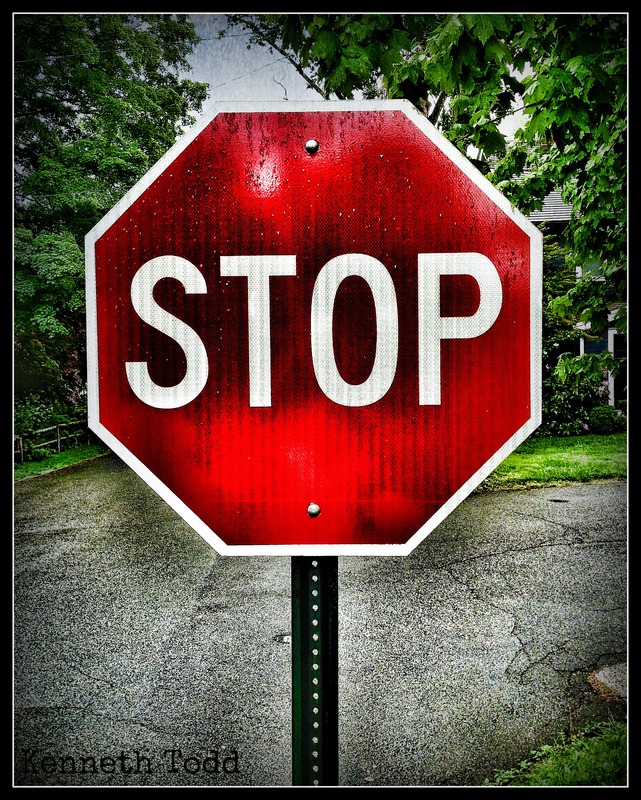 So before we break out into why our situation is different and nobody understands, we should picture this STOP sign and redirect our thoughts. Great post and photo! I completely agree with your photo narrative. Definitely words to live by! Thanks for sharing. Thanks for comments and visiting. Thanks for the pep talk! Love pushing the editing a bit! Great filter on that one.